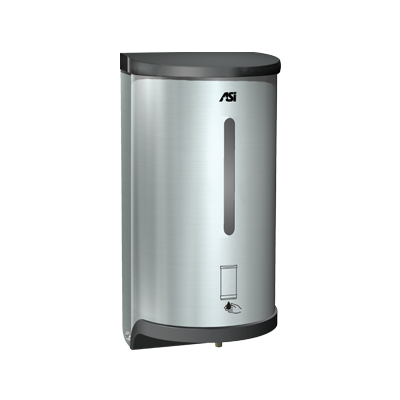 Stainless steel soap dispenser in satin finish with proximity sensor. Powered by 6 AA-size batteries (not included) and has tamper-resistant viewing window. Suitable for dispensing higher viscosity/antimicrobial soap. Capacity: 30 oz. (900 ml) using refillable soap cartridge provided.